If you do not have enough space in your garden to plant everything you desire, there is always the option of hanging pots around. And you can also do this inside the house, if you want to have colorful additions to your kitchen, for instance. But maybe you don’t want the pots to hang in your basic pot hanger. In this case, there is something you can do. You can try to create macrame plant hangers out of colorful textile strings for a cheap bohemian addition to your home. You just have to knot them according to the design you want to achieve. And speaking of designs, we wanted to provide you with 7 creative macrame plant hanger ideas to get you started. Let’s see what they are! 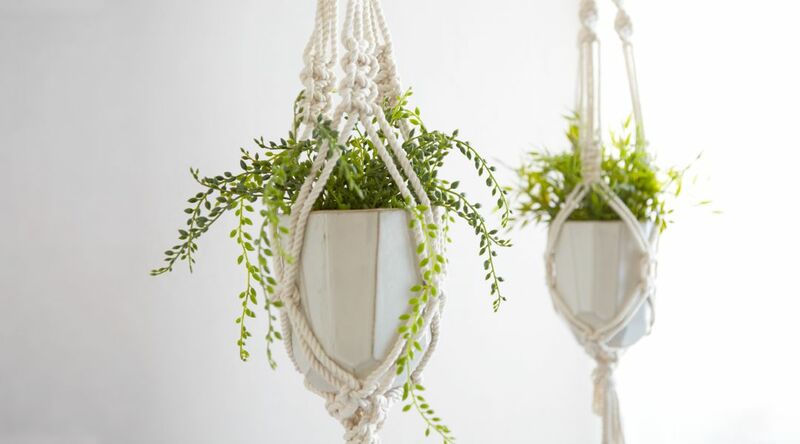 You can try this macrame plant hanger made of twine if you have lightweight plants. Also, if you are a beginner at designing such hangers. 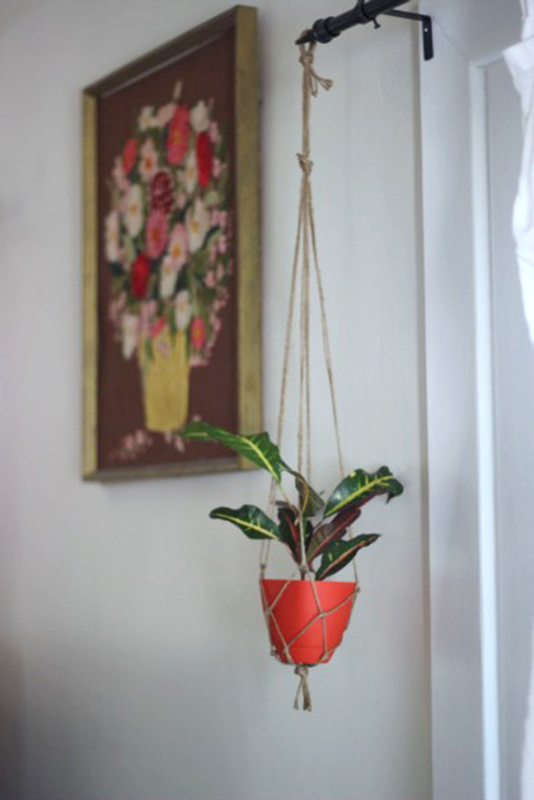 All you need is some twine and a pair of scissors, and of course, the plant you want to hang. 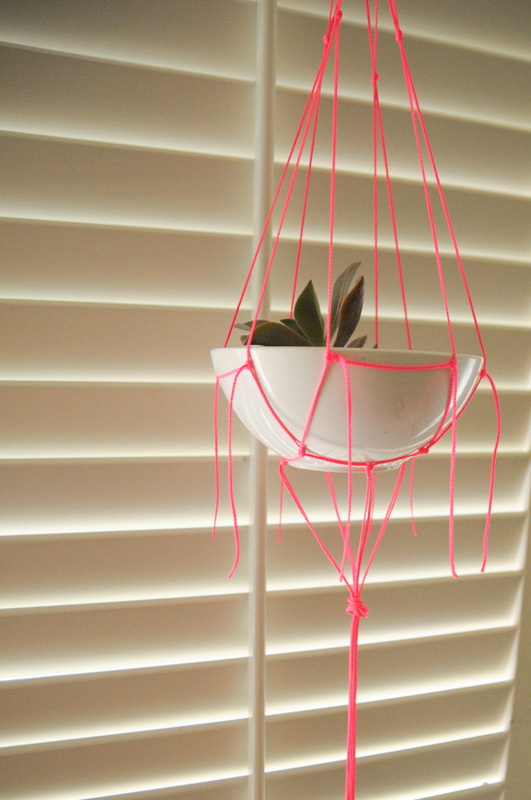 If you really love colors, making a neon macrame plant hanger might be the right choice for you. You just need some neon rope in the color you prefer and you’re good to go. We recommend to use a white pot, since it will make the contrast even bigger, and make the whole design stand out. This design might look really complicated, especially if you’re a beginner, but there are step-by-step tutorials on the Internet that you can follow, so don’t worry. 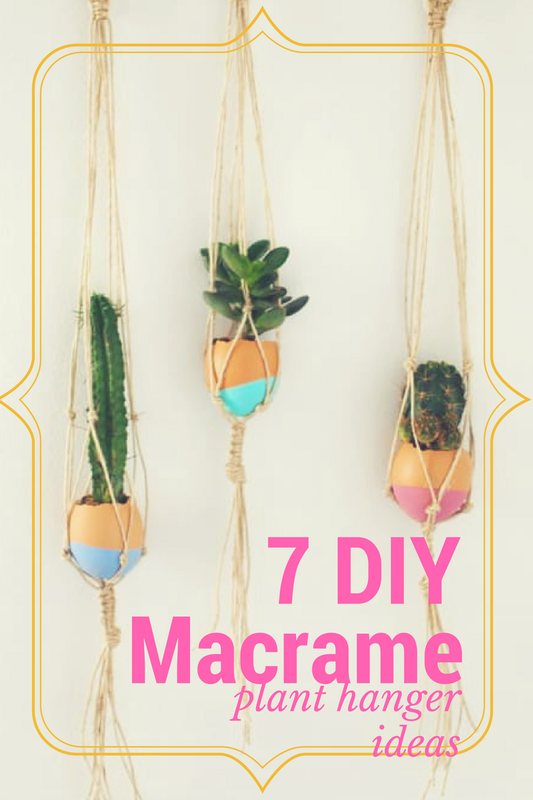 But if you are looking for a more intricate and sturdy macrame plant hanger idea, you’re definitely going to like this one. You will need some braided macrame cord, beads, and some round welded rings of different sizes. Also get a ruler, some craft glue, and a pair of scissors, and get creative. For this macrame plant hanger you will need some cotton rope, pearl cotton embroidery floss in multiple colors, according to what you want to achieve, and a hook or a metal ring. This design is really easy to do and it creates a resistant hanger for your plants. If what you’re looking for is a cute and creative way of displaying flowers in your room, but you are not a big fan of potted plants, you might want to try this alternative. You can create a macrame vase hanger and put up any flowers you like. 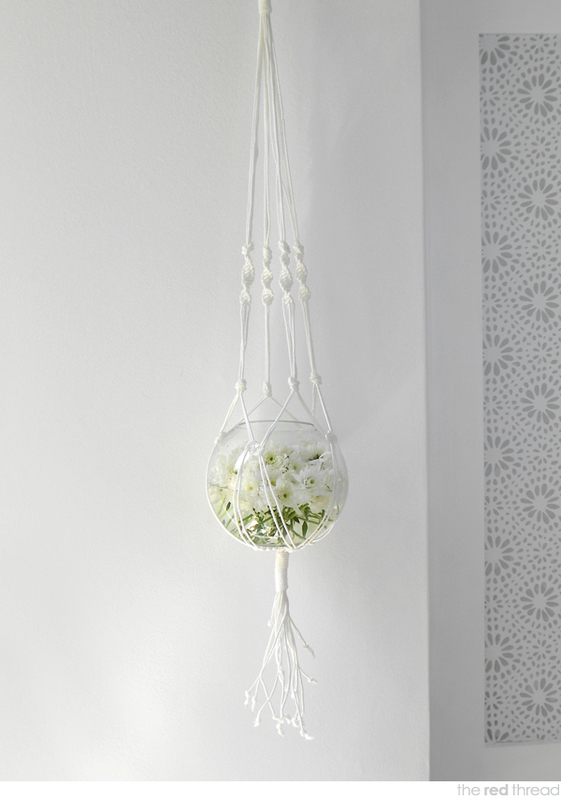 We recommend using white macrame, a transparent vase, and white flowers. It will give the entire thing a contemporary look. 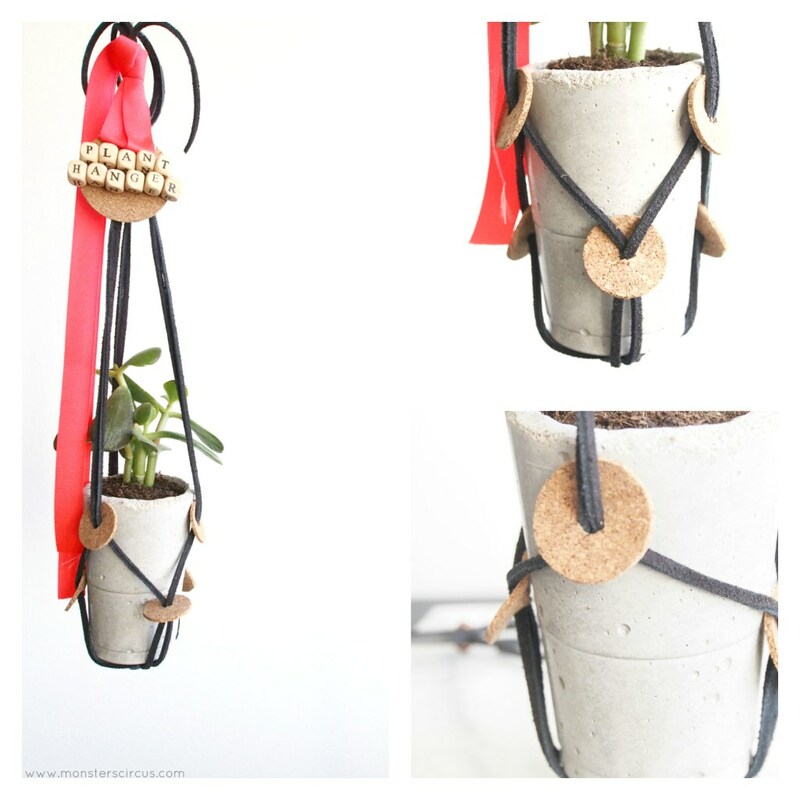 If you want an interesting spin on the classic macrame plant hanger, try making one out of leather cords and pieces of cork. If requires no previous experience with macrame. Plus, it is easy to make, and it will be a really cool addition to your potted plants. 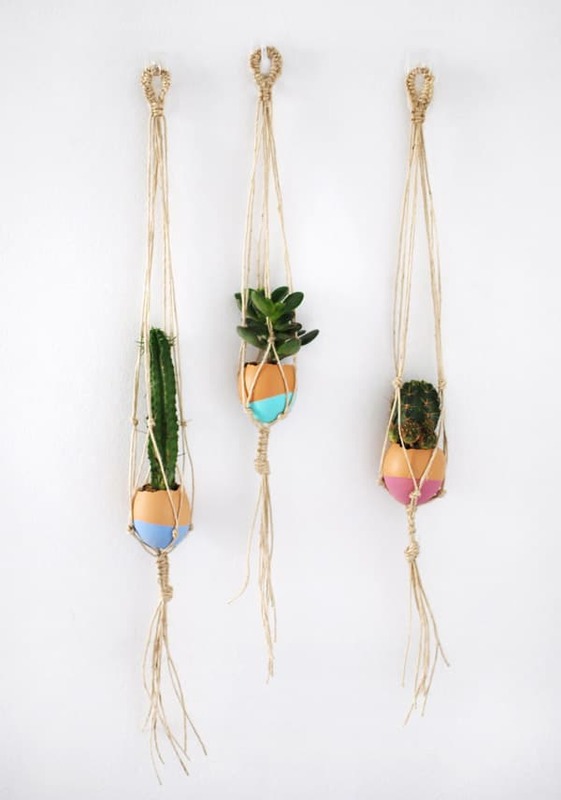 Create some tiny macrame plant hangers and use eggshells instead of pots. They don’t take up a lot of space and you can plant clippings from your favorite succulents in them. Furthermore, for some extra magic, decorate the eggshells as well. These are only a few of the macrame plant hanger designs that you could make, but we hope they are enough to get you started!